I’ll be presenting two sessions at the PASS Summit 2017 in Seattle, WA. There will be a half-day session called Migrating to SQL Server 2017 on Wednesday, November 1 in Room 6A, starting at 3:15PM, and then a regular session called Improving SQL Server Performance on Thursday, November 2 in Room 612, starting at 4:45PM. How do you design and implement a safe and successful migration from an older version of SQL Server to SQL Server 2017 with no data loss and virtually no downtime? What if you have a limited hardware budget for the upgrade effort and you are worried about the core-based licensing in SQL Server 2017? How can you choose your hardware wisely in light of the new licensing model? How can you convince your organization that the time is right to upgrade to SQL Server 2017? This session will cover several different methods for migrating your data to SQL Server 2017 while meeting these objectives and minimizing your hardware and licensing costs. You will also learn how to help make the case that a complete data platform upgrade makes excellent sense from a business perspective. You will also learn how to do effective capacity planning for the new environment to ensure that you have the best performance possible with a manageable SQL Server 2017 licensing cost. Has anyone ever told you that your SQL Server database or instance was running too fast? Probably not, but it is all too common to hear complaints about poor performance. As a database professional, you need to have the right tools and techniques for finding and correcting performance bottlenecks at all layers of your SQL Server instance. Starting with your hardware and storage, including virtualization, operating system considerations, instance-level configuration settings, database properties, and concluding with index and query tuning, we will cover all of the layers of common performance bottlenecks. You will learn detailed and practical information for improving SQL Server performance at every layer in the system. 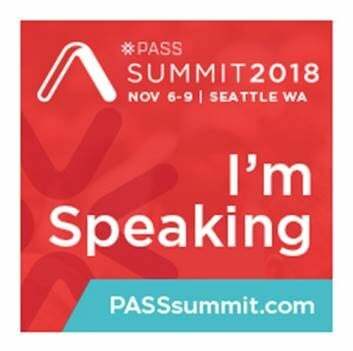 My SQLskills colleague, Erin Stellato will also be at the PASS Summit 2017, presenting a pre-conference session called Solving Common Performance Problems Using Query Store on Monday, October 30, and then two regular sessions: Query Store and Automatic Tuning in SQL Server and Data Systems at Scale – A Panel Discussion on November 1 and November 2, respectively. 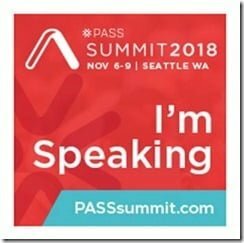 The PASS Summit is always a fun and useful conference, where you can connect and reconnect to people in the SQL Server Community. I hope to see you there, in my sessions and in the hallways and escalators! Update: Just to make it easier to find, here are links to my Migrating to SQL Server 2017 session, Migrating to SQL Server 2017 demos, Improving SQL Server Performance session, and Improving SQL Server Performance demos.